Are you heading to Sri Lanka? Then you have to check out Mirissa, the perfect seaside town in the south! There are so many awesome things to do in Mirissa so make sure you take the time to visit when you’re in the country. Whether spending time in the water is your thing, or you’d rather be cooking up a storm in a local kitchen, you won’t be bored here! Mirissa is a small beach town in the far south of Sri Lanka. Even though it is a little way from Colombo airport, many travellers make the effort to get down there and experience a more chilled side of Sri Lanka. But don’t let that relaxed vibe fool you into thinking there is nothing to do! Mirissa has access to so many incredible things to do as well as lazing on the beach and soaking the rays. 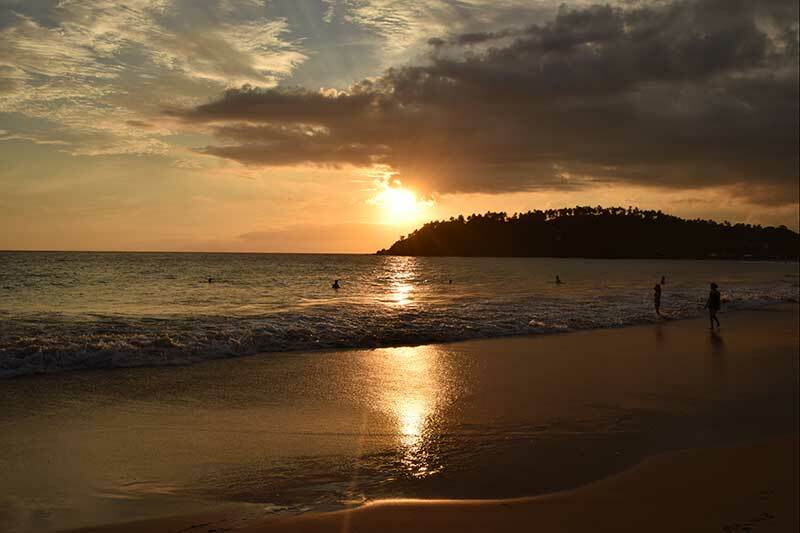 Have a look at my top things to do in Mirissa to get your interest peaked. If you are looking to go to go on a little trip around Sri Lanka then we have an absolute cracker of an itinerary to see the best sites around Sri Lanka in 10 days, so check it out below. sunrise is always beautiful in Sri Lanka! What’s the best way to get to Mirissa? When is the best time to go to Mirissa? What are the best things to do in Mirissa? Are there any other good locations near Mirissa? It has to be the top of the list, full stop. 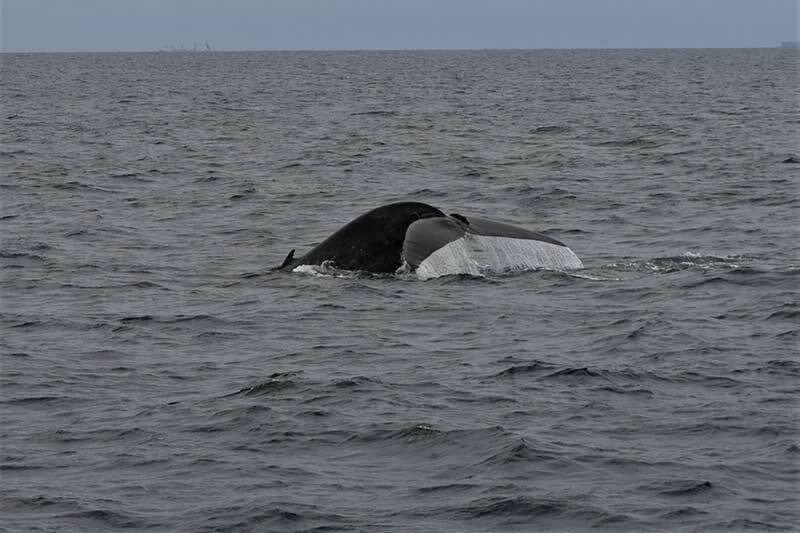 Mirissa is the single best place on Earth to see the majestic blue whale. This is because the blue whales that live off of the coast of Sri Lanka never migrate away. This means that you will be able to see them at nearly any time of the year! The only time the boats don’t run is May-June because the water is too choppy. You are almost guaranteed to see this quintessential tail flick! I’ve written a complete guide on how to see blue whales in Mirissa if you need more information but these are my top tips. Best time to visit is September to April as this is when the sea is at its calmest. I advise Raja and the Whales as they were incredible when we went. Buy sea sickness tablets before just in case. Don’t get on a boat without life jackets. When you go whale watching, I recommend taking a camera that has a decent zoom/focal length. This doesn’t mean you have to spend tonnes of money on a new camera, I highly recommend the Sony DSCH. This camera is not the cheapest out there but as an all-rounder, it is literally unparalleled in portability coupled with performance. If you are looking to purchase a small travel camera that takes beautiful pictures then this is the one to get. For those of you out there with interchangeable lenses then have at least a 200mm focal length for the best pictures. This is literally the biggest living creature on the planet and this is the cheapest and best place to see them, you’d be a fool to miss out! This is the best thing to do in Mirissa hands down. Whether your idea of playing in the waves is surfing or running head first into them, Mirissa beach is a perfect place to do it. The waves are a good size and perfect for beginner surfers. October – March is the best time for surfing so you have nearly half the year to get your surf on. There are some really nice bars and restaurants along the main beach and this is the perfect place to relax, drink and tan. The bars know exactly what you want to do so they have some really nice sun beds, private lounges and 4 poster tanning beds scattered all the way down the beach. The alcohol is more expensive here but you have to remember that you’re still in Sri Lanka so you won’t be paying any more than you do at home. You do have the option of going down to Secret Beach if you want a little privacy but for pure beach vibes and sun beds then the main Mirissa beach is the best option. The complete opposite of Mirissa beach, Secret beach is tucked away where hardly anyone goes. The main reason for this is there’s a 10-minute walk even if you get a tuk-tuk because of how steep the journey is to the beach. 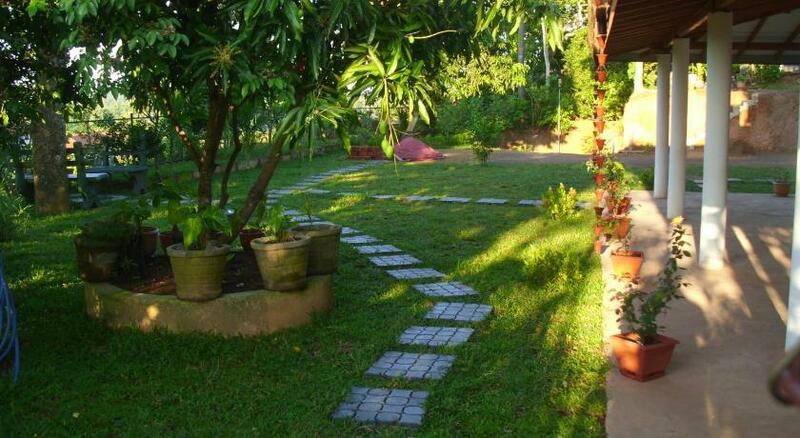 However, if you want peace, quiet and true tranquillity then this is one of the best things to do in Mirissa. The best thing to do is talk to a local and arrange a tuk-tuk to take you as close as you can. Take water food and sun cream just in case you aren’t able to buy any when you’re there. I wouldn’t recommend trying to walk there from Mirissa. I know it’s not too crazy far but it’s extremely steep and if you’re going to relax then trudging up and down steep hills is not the best start. 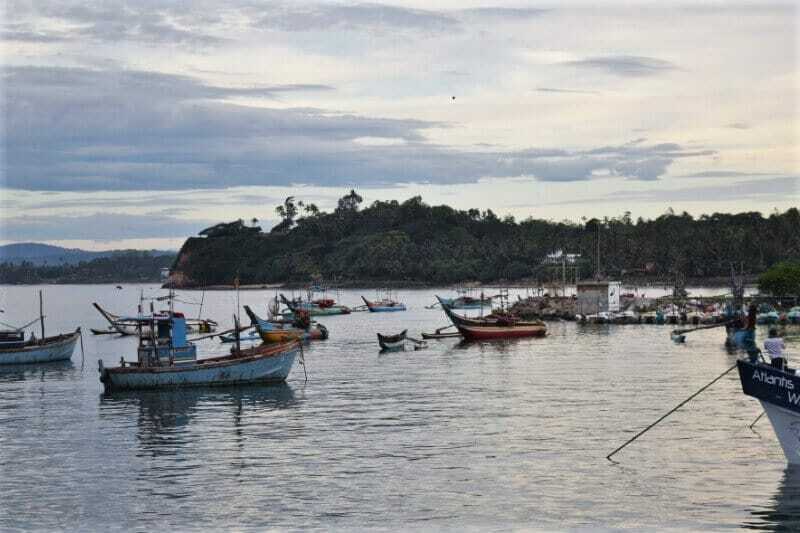 There is a bay on the southern end of Mirissa that is famous for…. you guessed it, turtles! 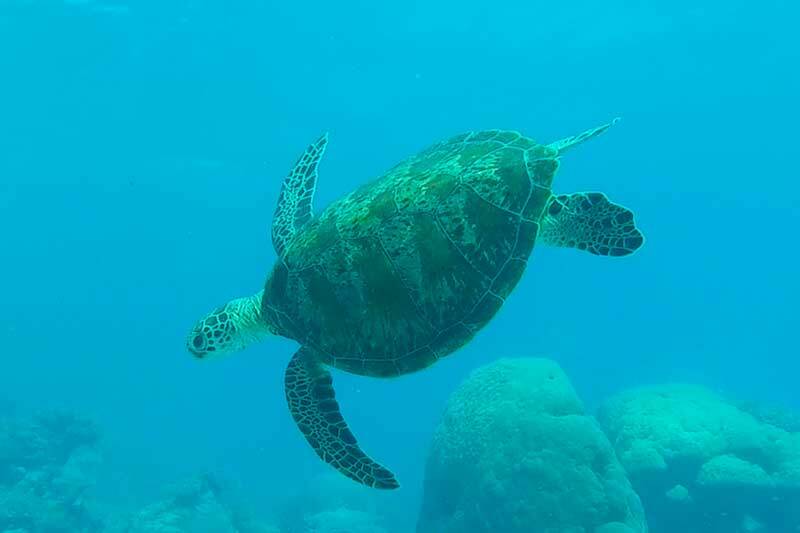 If you go at the calmest time of the year then you should have good visibility and conditions to maximise your chance of seeing a turtle in the bay. Hire out some snorkelling gear from a local shop or your hotel and go and try your luck. 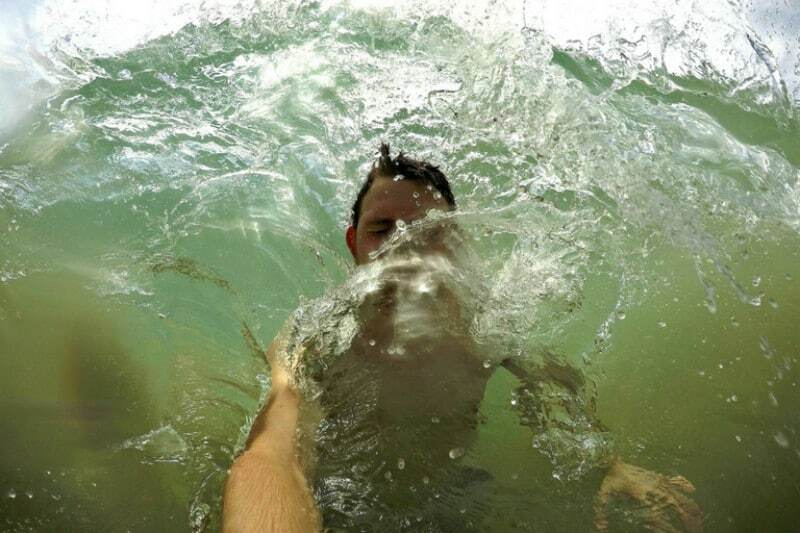 I captured the following pic on a GoPro 5 whilst in Australia, so if you’re looking to get some decent pics without having to pay ridiculous money then I highly recommend getting yourself one. 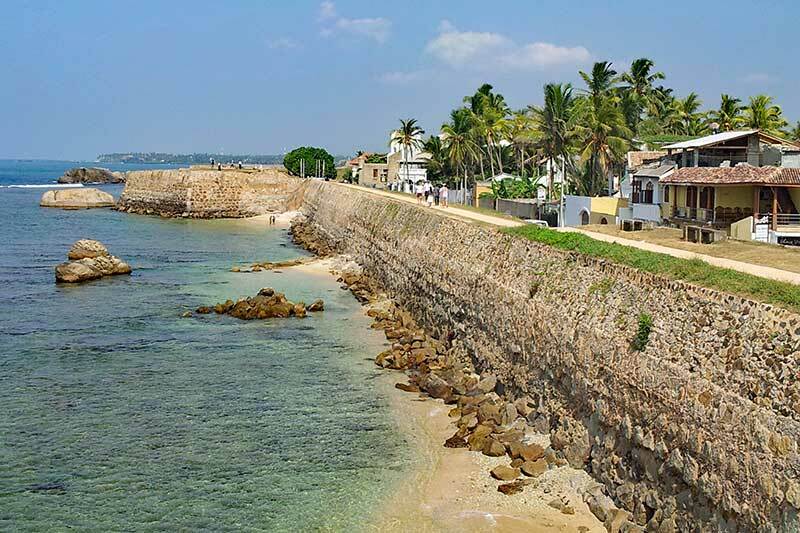 Galle is a city that has Unesco World Heritage status, need I say more? This city is one of the jewels of Sri Lanka and is one of the most photogenic areas in the whole country. I highly recommend going down to Galle for at least a day to explore the lanes, take in the history and eat at some of the quirkiest boutique cafes anywhere in Sri Lanka. Galle is such a beautiful city. Simply lift up your camera and you will have a perfect picture. If you do get the train, then just grab a Tuk-Tuk from Mirissa to Polwathumodara station and go from there. Mirissa does not have its own dedicated station but this one is really not that far away. I have written a complete review of the most famous cooking class in Mirissa, Dewmini Roti Shop. Whilst you are reading the review you might realise that I wasn’t that impressed by the standard of the class. However, this may have been because, 2 weeks before, I had been to the most incredible cooking class in Chiang Mai which set the standard very high. The food at the end was the highlight of the entire experience. Nevertheless, Dewmini Roti Shop is still rated very highly in Mirissa and is certainly not a waste of time. 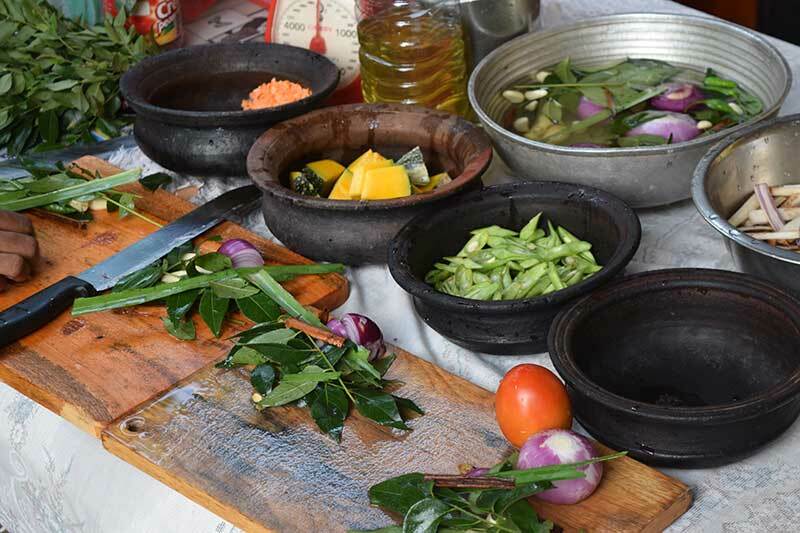 Sri Lankan food is incredible and if you want to learn to cook it then this is a must. Whilst Yala National Park is not in Mirissa, it is not a very long way away at all, roughly 2.5 hours in a bus. If you are going to Mirissa for a while then get on a bus, stay in Tissamaharama for the night and go on a Yala Safari the next morning. It will be the best thing you do in Sri Lanka, I promise. 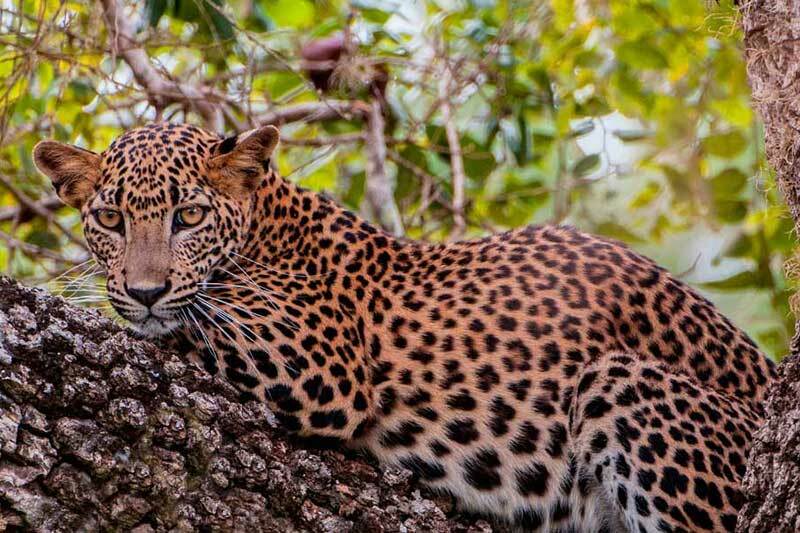 You may even get the chance to see one of the most beautiful animals in the world, the Sri Lankan leopard. To get your nature taste buds tingling, have a look at my complete guide to Sri Lankan Safaris. Yala is not the only one but if you are in Mirissa then it is by far the easiest to get to. Sri Lanka is most well-known for its incredible natural beauty and this will enable you to truly grasp how incredible nature is in this country. Some of the trains in Sri Lanka have first-class carriages for a ridiculously good price. However, if you want to get the quintessential selfie of you on the edge of the open train door as you trundle along, then you will find it very difficult to get through the carriage to get to the prime spot. The trains are ridiculously packed most of the time. Considering the size of Mirissa, you will be astounded at the accommodation options available to you. Mirissa has everything from budget hostels to luxury hotels. We have written a much more comprehensive list of the best budget, mid-range and luxury accommodation in Mirissa so check that out for more options than below. The fact that Mount View Villa Resort is even in the budget section is mind-blowing. You get a private room with air conditioning all for around $10 a night… Not only this but they have an onsite spa and wellness centre whilst also providing free bikes. You can eat at the onsite restaurant if you don’t fancy going into town and the staff will help you organise any local trips or tours that you are interested in. Mount View Villa Resort really is an obvious choice for a couple or someone on their own looking for a private room. If you are looking for that little sparkle of class and comfort but don’t want to pay the big bucks then Glamour Mirissa is for you. I highly recommend checking out the hotel page for additional photos because this hotel really lives up to its namesake. Glamour Mirissa is literally only 500 yards from the beach and has a highly rated on-site restaurant so you have great access to anything you may need. You’ll be looking at around $35-$40 with breakfast included so this really is luxury at an affordable price. Private beach, onsite gourmet restaurant, beach view suite with a balcony, double 4 poster lounge beds by a beautiful pool, I could go on. Lantern Boutique is clearly the nicest hotel in Mirissa and coming here will all but guarantee you the perfect holiday. Lantern Boutique Hotel only comes with king size beds and ocean view suites so you know you will have the perfect landscape to wake up to every morning. It is expensive but if you have the means then this is the place to stay! The best time to go, weather-wise, is between December-February. This is also the busiest time but I think it’s worth it. Yes, you can easily get over to see Yala National park to the east and then even travel up to Ella and go on the most beautiful train journey in the whole world to Kandy. 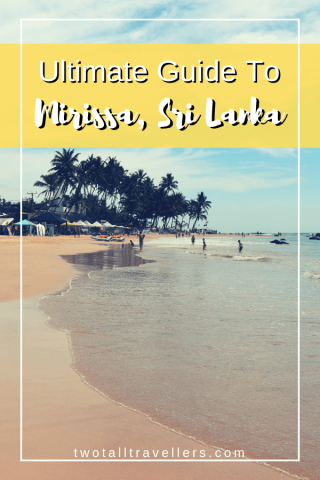 Have you been to Mirissa and can think of any other amazing things to do in Mirissa that I’ve missed? Let everyone know in the comments section below! Click the image below to repin this post!